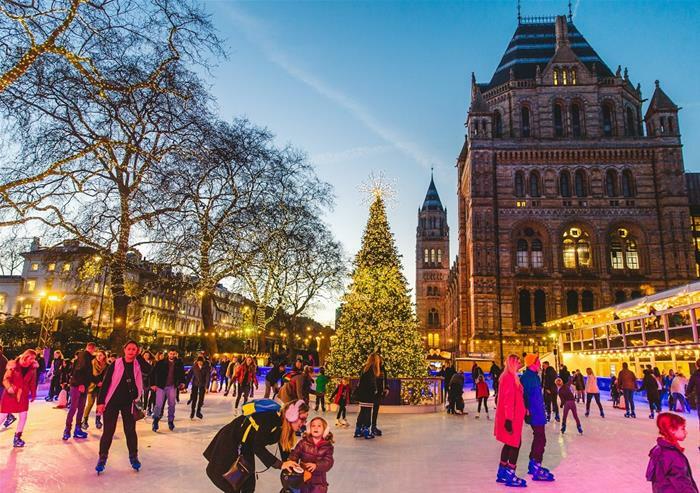 Get your skates on for a simply magical festive experience at the Natural History Museum this winter. 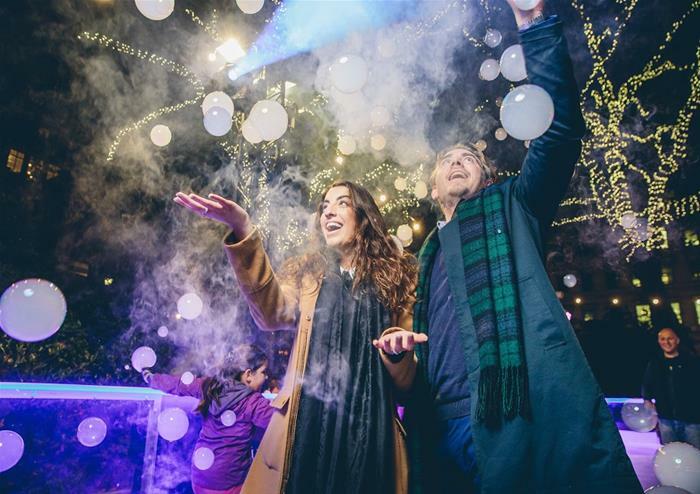 Dress up warm as you take to the ice for 50 minutes of exhilarating fun in one of the most iconic settings in London! 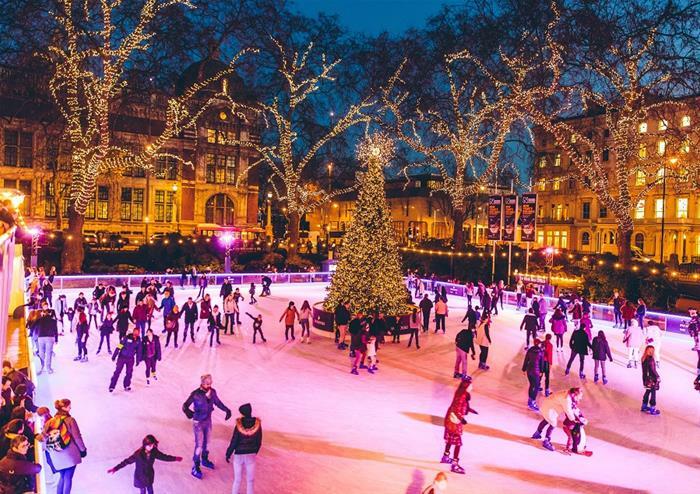 Skate across the glistening ice as you’re illuminated by the gorgeous Christmas lights, soaking up the Christmas atmosphere and enjoying this enchanting ice rink experience. 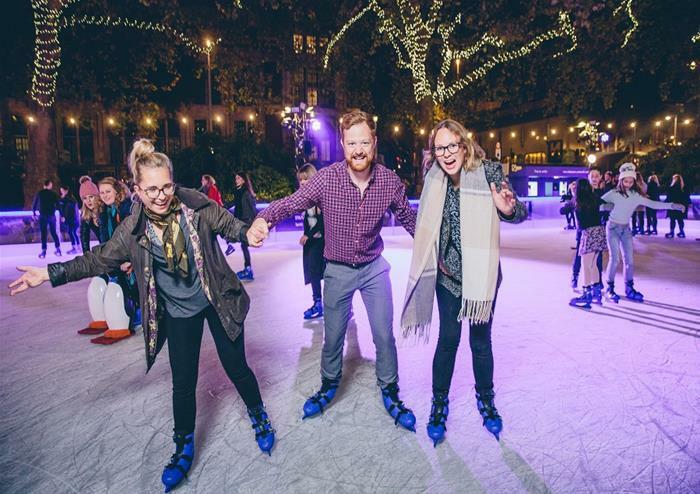 If you or your fellow guests aren’t pro-skaters – not to worry! 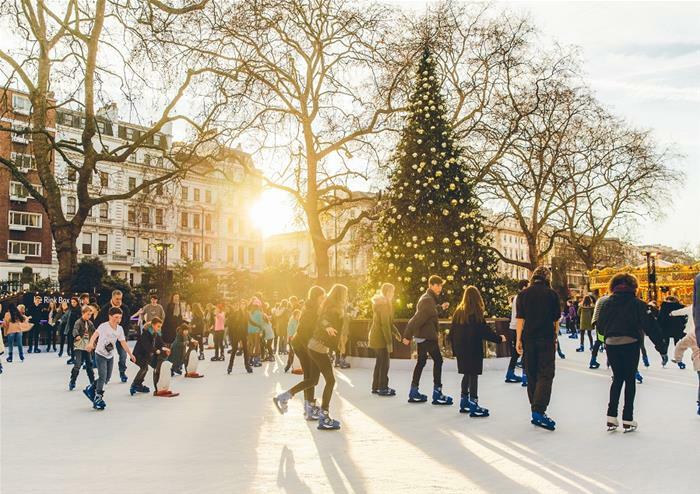 There are helpful penguin guides (at extra cost on arrival, subject to availability) that will help you skate freely across the ice! 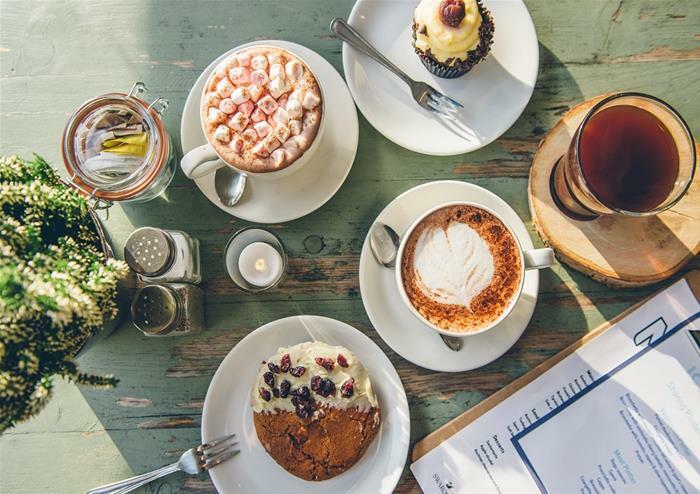 Perfect for all of the family, you can even stop off for something scrumptious at the cafe bar where you’ll be served delicious treats to warm your cockles after a stint on the ice! 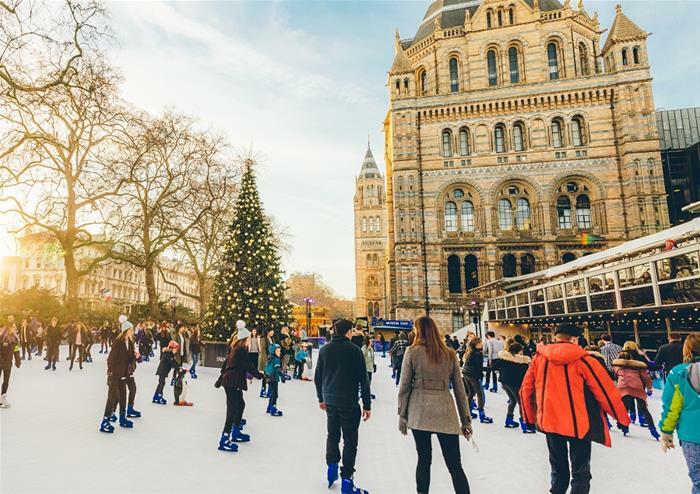 This exciting ice-skating experience in the heart of London’s beautiful South Kensington is not to be missed this Christmas season! The rink can operate in nearly all weather conditions. Please bring suitable outdoor clothing; remember, ice is made from water, and you may get wet. 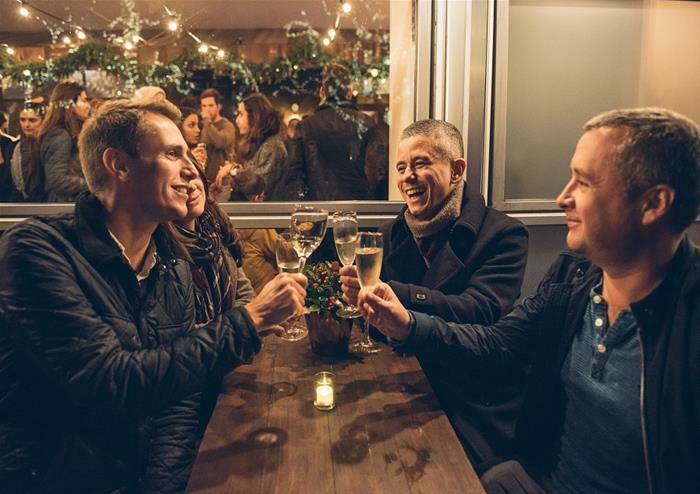 This is an outdoor event and no refunds will be given due to inclement weather. 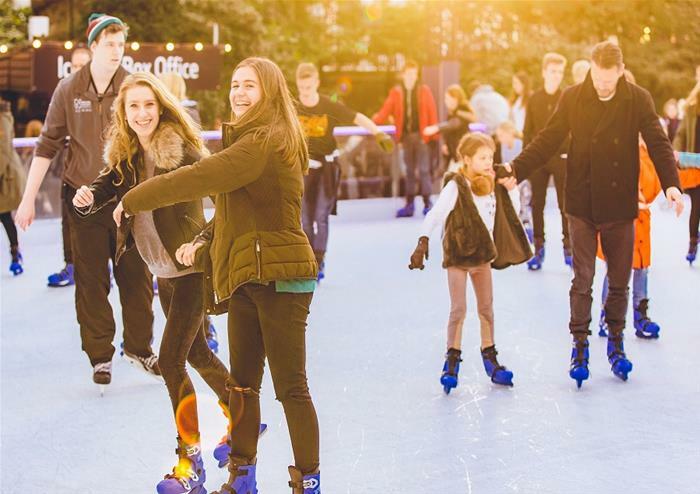 Lost property will be held at the ice rink. Please contact nhmskating@img.com with regards to lost items.